The Turnkey of Highgate Cemetery is one of the books that got lost in the shuffle this summer. It tells the story of a ghost who’s the caretaker of a cemetery during WWII. To be honest, I had a slow start with The Turnkey of Highgate Cemetery. I stopped and started it a few times both because of a poor connection with the book and personal issues. Once I finally was able to give it a chance, however, I found it compelling, though somewhat dark middle-grade read. Based on the subject matter of The Turnkey of Highgate Cemetery — ghosts, WWII, etc. — it’s pretty clear from the outset that it’s not going to be a “happy” book. But that’s not the mark of a good book. For me, a good book is one that leaves me satisfied, leaves me feeling like I was better for reading it. Better in that it edified or entertained me in some way. That’s how I left this book. 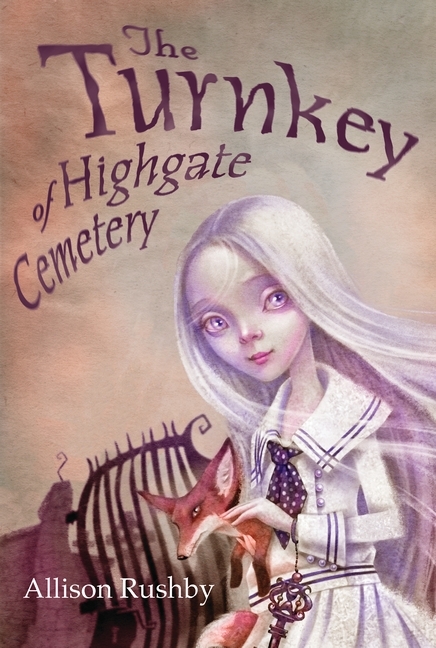 Once I settled in with Allison Rushby’s writing and Flossie as a character, The Turnkey of Highgate Cemetery moved quickly and the story played out in unexpected ways. It’s worth giving this book a chance — at least from the library.